211 Bernard: Tonight! J. B. Staniforth launches his book on the late, great Toronto band The Deadly Snakes! Tonight! J. B. Staniforth launches his book on the late, great Toronto band The Deadly Snakes! Tonight, Friday, December 7, at 7pm, join us at the Librairie to celebrate the launch of local writer J. 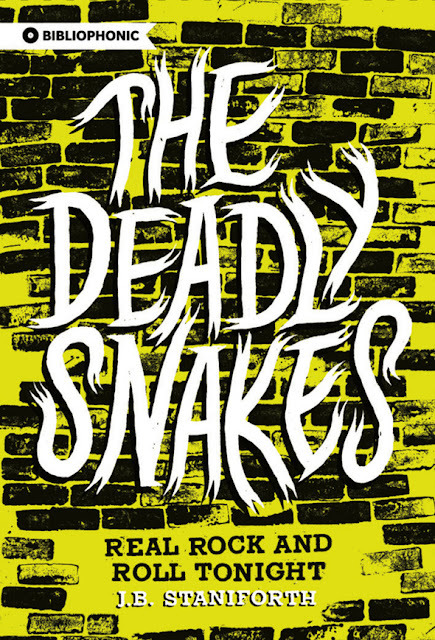 B. Staniforth's new book, The Deadly Snakes: Real Rock and Roll Tonight. The Deadly Snakes: Real Rock and Roll Tonight (which Staniforth began writing back in the spring of 2008!) is the third installment of Invisible Publishing’s Bibliophonic Series, and charts the rise and gentle fall of Canada’s greatest band. Through interviews with the band members, Real Rock and Roll Tonight tells the story of Toronto’s beloved rock and roll band from their chaotic teenage beginnings to their exquisite final act. The author will read, some Deadly Snakes tracks will be played, and refreshments will be had! For some more on this event, check this earlier post.